The British Gazette » Patriot Games: Playing at the Palace of Westminster right now! Above, the actress Polly Walker of Warrington, Lancashire, who made her name as the femme fatale IRA terrorist “Annette” in the 1992 Hollywood film, Patriot Games based on Tom Clancy’s novel of the same. When Hollywood makes a film set in “England” [as most Americans perceive the UK to be] there is for us Brits a sense of Alice and the “Looking Glass” about the portrayal: “England” but not as we know it. Now, this sense of unreality has taken over the media and the general public discourse on the subject of what has universally become known as “Brexit”. The uproar against the High Court decision by the press is but one instance. Many of those who were in the Leave campaign seem to have lost most if not all sense of reality. They are now existing in a world of their own imaginings. Real life events are interpreted in a way to reinforce their personal delusion. Sadly this is not the first time such has happened. Human beings have a depressing habit of repeating the mistakes of their forebears. The collective delusion of the media – that they are doing a good job and their reporting reflects reality – is not too far removed from the collective delusion of the Dutch during the tulip bubble. And we know how that ended! So, how does the British Gazette reader distinguish fact from fantasy and determine where in reality the UK is in relation to “Brexit” and it’s relations with the EU. Doctor Richard North’s blog is the home of Flexcit, and importantly the most important Monographs. Whilst wholeheartedly endorsing most of what Doctor North publishes, your Editor however does take issue on certain things. One is the present litigation vis-à-vis Article 50. This organ – as the links contained in yesterday’s article demonstrate – predicted the outcome that took place. As for the verdict of the Supreme Court in December? We would be “gobsmacked” were six or more of the eleven judges to take a contrary view to that delivered by the LCJ! What the Reader HAS to do when attempting to find a way through the Westminster Wonderland is to keep REALITY in plain sight. Trying to do otherwise is like trying to navigate an icebreaker in the Arctic Ocean at the height of summer when the gyrocompass and the nautical “sat nav” and even the ancient “Decca Navigator” have failed, some “twit” knocked the sextant and the chronometer overboard so you only have the wildly swinging magnetic compass to go by! Reality is Flexcit and the Monographs. They detail the ONLY practical Brexit course. We will not repeat the consequences expressed in earlier articles of pursuing another course. Our European friends like to use the allusion of a train. Well it is a good allusion in the Brexit case. A train can travel in two directions: Forwards and backwards. Unlike a bus or a lorry [“truck” for our US readers], it cannot turn to the left or to the right. It is constrained by the railway [railroad] track beneath it! Mrs Theresa May is similarly constrained. She can either go forward to the UK becoming a member of EFTA and remaining a member of the EEA, OR backwards (remaining stationery) in the EU. What Mrs May is trying to do is to manage the politics of the issue. To her advantage of course! Her problem has been described in this organ repeatedly and it is necessary for us to do this again – for the umpteenth time! 1. No more or a lot less immigration from the EU or anywhere else. 2. No de facto change in the trading relationship with the EU. 3. No more contributions to the EU budget. 4. An extra £350 million a week for the NHS. The chances of Mrs Theresa May negotiating such a deal are less than her (or your, Dear Reader) chances of winning the lottery jackpot tonight, and on Tuesday, and on Wednesday and on Friday! In other words, It ain’t going to happen! Now, we know that many people fantasise each time they buy their lottery ticket on how they are going to spend the millions if they won. Most UKIP members seem to indulge in a similar fantasy about Brexit. We would suggest to UKIP people that “Lotteries are a Tax on Fools”. So, what may Mrs May be doing? In order to do this Mrs May will need help. And she may probably have come to the conclusion as to who her little helper will be! 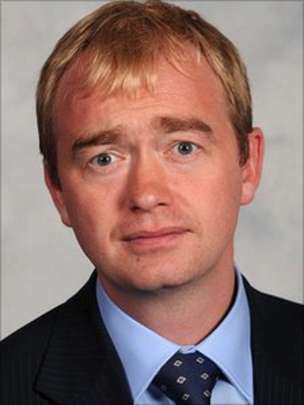 Yes, Dear Reader, the Unfortunate Timothy James “Tim” Farron, the Member for Westmorland and Lonsdale! You see, WHEN (not if) the Supreme Court endorses the LCJ’s judgement vis-à-vis Article 50, Mrs May will be forced to enact primary legislation to invoke Article 50. The government has already indicated that they will seek the briefest of authorities for this. Probably statutory authority to invoke Article 50 by laying a Statutory Instrument to that effect before Parliament. Thus, when the Unfortunate Member for Westmorland and Lonsdale and divers other unfortunates, the entire phalanx of SNP members for instance, insist on statutory constraints to the UK’s negotiating position – such as remaining in the EEA – Mrs May will be forced to concede defeat! She will have used her feminine guile to turn her small majority to her advantage! This will mean that she can pursue the policy that she dare not name – FLEXCIT – and luxuriate in the schadenfreude her strategy will have brought her as the policy of “Full Brexit” that is of course “…over the rainbow where skies are blue…” will have been denied her because “Half Brexit” is what the Liberal Democrats, the SNP and the train crash that is now the Labour Party together with a few Tory rebels, will have handed the country. Whilst of course many of her loyal backbench Brexiteers (aka “delusional colleagues”) who believe that they know how to end up “…over the rainbow where skies are blue…” will have been unable to convey their constituents to the wonderland they voted for on 23rd June 2016! British Gazette readers will recall at the time of the Tory leadership election following David Chameleon falling on his sword outside Number 10 that we suggested that of all the Tories to succeed him Mrs May was the best choice because she was the most competent. Well, if events turnout as we expect we will again be proved right!